The internal flight network radiates from Moscow's three major airports: Domodedovo, Vnukovo Airport, and Sheremetyevo Airport. There are over 100 regional airlines in Russia, most of which run services from Moscow to their region. These include Aeroflot (www.aeroflot.ru) and Rossiya Russian Airlines (www.rossiya-airlines.com). Aircraft safety has improved over the past decade or so, although crashes are still not unknown. The purchase of newer craft, and revised safety regulations have seen things slowly get better. Pay little attention to timetables you might see posted on walls, especially in smaller towns across the country, as these are likely to be unreliable and possibly even relics from a bygone age. The network of roads across Russia are certainly improving – however not fast enough to make then a relaxing option for travelling inside the country, and the frustrations still outweigh the benefits. Furthermore, distances in Russia should not be underestimated, as Russia is a vast country and travel by road takes considerably more time than by train or aeroplane. The European part of Russia depends heavily on its road network. Generally, the few roads in Siberia and further east are impassable during the winter. It is not recommended to drive in Russia as harassment from traffic police is endless. If you do decide to drive, it is advisable to pre-plan the itinerary and accommodation requirements. On the majority of tourist routes, signposts are also written in the Latin alphabet. Sample distances: Moscow to St Petersburg, 713km (443 miles); Moscow to Minsk, 718km (446 miles); Moscow to Rostov-on-Don, 1,076km (669 miles); Moscow to Odessa, 1,340km (833 miles). Motorists should avoid driving at night if possible. Consistently poor, pot holes are commonplace and the further east you travel, unsealed roads are the rule rather than the exception. That said, it is possible and as with all things if you put in the effort there are rewards to be claimed. Available from local and international firms. Chauffeured cars are available in major cities. Taxis are relatively inexpensive and readily available in all towns and cities. For a small fee, just about any car driver will gladly become a taxi. Cycling is something of an extreme pastime in Russia. However, if you’ve got the stamina it’s a great way to see the country during the summer months. Coaches can be a slightly cheaper way to travel around the country. However, they are much slower, with none of the romance or comfort of the train. If budgets allow, taking a train is usually the better option. Eurolines (www.eurolines.com) operates in the west of the country. Traffic drives on the right. Speed limits are to 60kph (37mph) in built-up areas, 90kph (55mph) in non-built-up areas and 100-120kph (62-72mph) on highways. Visiting motorists who have been driving for less than two years must not exceed 70kph (43mph). Hooting the horn is forbidden except when to do so might prevent an accident. Every car must display registration plates and stickers denoting the country of registration and be fitted with seat belts, a first-aid kit, a fire extinguisher and an emergency sign (triangle) or red light. Also be mindful that if your licence plate is dirty you may receive a fine. In case of an accident, contact the nearest traffic inspection officer and make sure all participants fill in written statements, to be witnessed by a militia inspector. All repairs will be at the foreign motorist's expense. In the event of a car breakdown contact the highway patrol, GAI and your car hire company. An International Driving Permit and a national licence with authorised translations are necessary. Visitors travelling in their own cars must also possess the following documents at all times: passport and visa; car registration number and full details of itinerary; form provided by customs on arrival guaranteeing that the car will be taken out of Russia on departure; and insurance cover documents. A road tax is payable upon entry to the country. 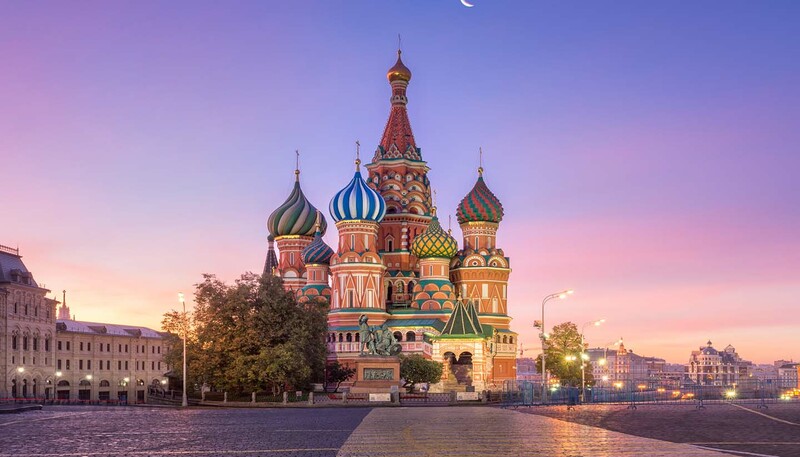 Motor insurance for travel within Russia should be arranged prior to departure, or upon entry to Russia at the offices of Ingosstrakh, the Russian foreign insurance agency. Contact the embassy or a specialist tour operator for further details. Public transport in the cities is comprehensive and cheap. Many services are electric transport (metro, tramway, trolleybus). Stations on the Moscow and St Petersburg metros are always elegant and often palatial. Entry to the underground is by single-use tokens or a multi-use paper ticket, both of which are inserted into the ticket barrier. Fares are standard for the various forms of transport; weekly and monthly passes are available. Buses operate 0500-0000. Tickets are available in strips or booklets from people outside the metro station or from the drivers or bus conductors (look for the red armband) directly. Tickets must be punched in the machine provided on the bus. Reloadable smartcards are also available. Taxis are also available; they can be hailed in the street, hired at a rank or booked by telephone. It is safer but far more expensive to use officially marked taxis; they are yellow with chequered signs on the doors, although in practice it is totally safe to flag down any car, agree a destination and price and get in. However, always use common sense. Rail is by far the best (if not quickest) way to travel in Russia. The railway is a vital part of the infrastructure of Russia because of the distances involved in getting from A to B and the sometimes poor road system. Tourists can book tickets at stations or online via the state railway (tel: +7 8800 775 0000; http://pass.rzd.ru/main-pass/public/en) or via a reputable agency such as Real Russia (www.realrussia.co.uk) who can also organise visas. Tickets are released 45 days in advance. Children under five years of age travel free, while those aged five to nine pay half fare. Rail travellers are advised to store valuables in the compartment under the bed or seat and not to leave the compartment unattended. There are regular services between Moscow and St Petersburg, including several overnight trains.